Spring is here and you know summer is not far behind when the berries get ready for harvest. 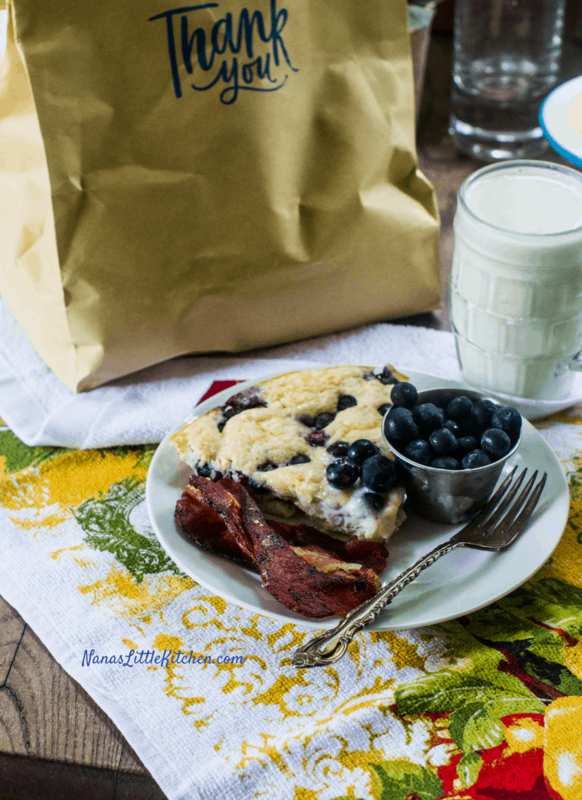 This brand new recipe for Blueberry Skillet Bread THM S Low Carb is a result of our recent visit to Mayberry Farms wonderful all natural blueberry farm. 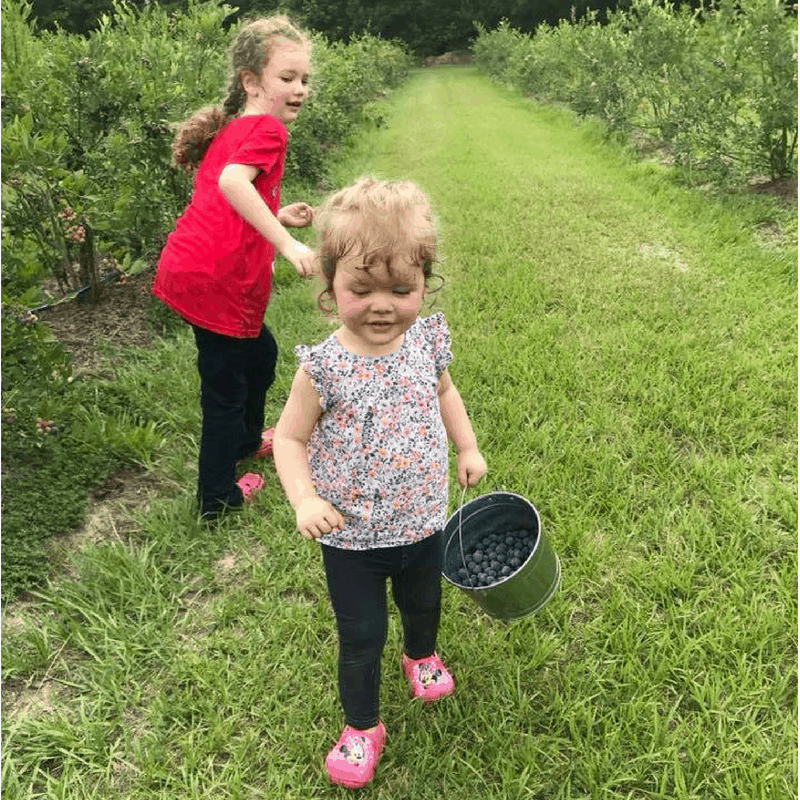 We were delighted to have the honor of being their first customers for the 2018 blueberry harvest! 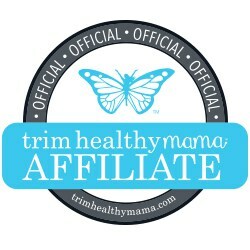 I’m so excited to be able to offer up this wonderful low carb pan bread as the next installment in my ongoing THM Friendly Bisquick Mix recipes. This is another of my “lighter low carb” THM-S recipes, utilizing the light THM Baking Blend (or a close (FP) DIY-link included), egg whites, and low carb cheeses to make this dense pan bread taste very close to a “normal” pancake but in a convenient pan bread form. 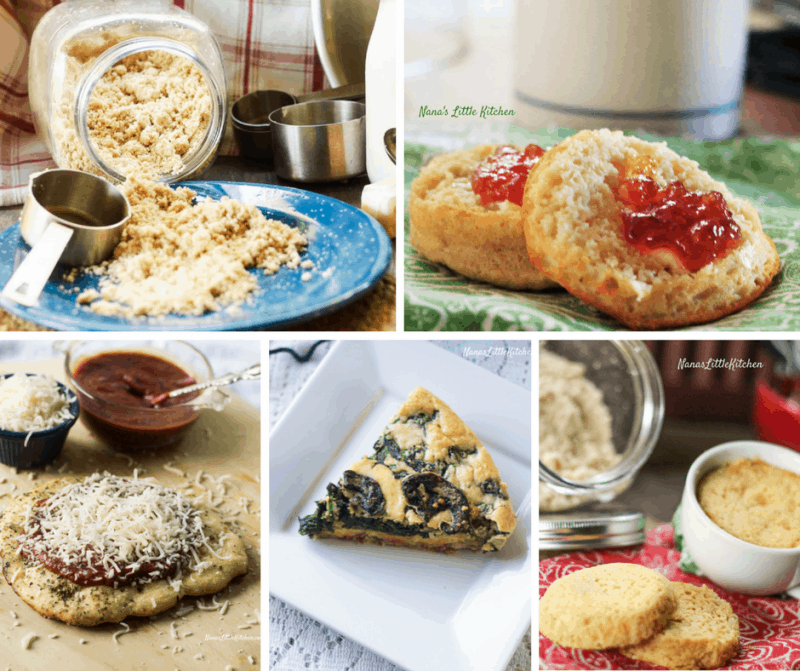 Top left is the THM Friendly “Bisquick” which resulted in helping me successfully create these unique, low carb, version of the Melt In Your Mouth Biscuits that we had enjoyed so much in the past while using the traditional Bisquick. 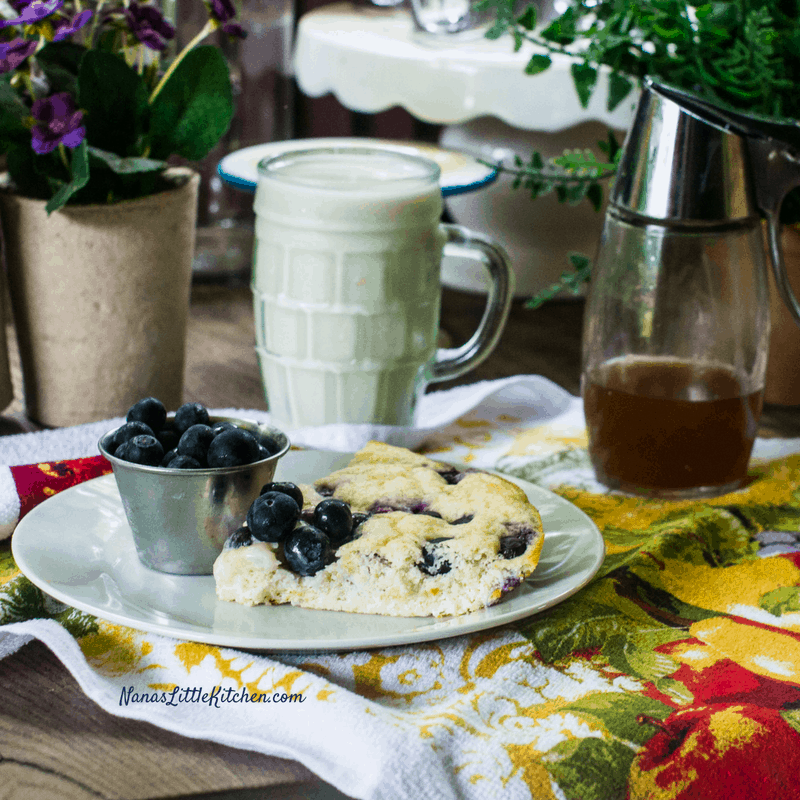 Just a few modifications on this recipe gave us the Southern Style Biscuit in a Mug ! Then came the Low Carb Personal Pan Pizzas; using this mix. These have been a big hit because they combine the functionality of a hybrid mozzarella bread with the style of a real pizza crust and the convenience of a mix. 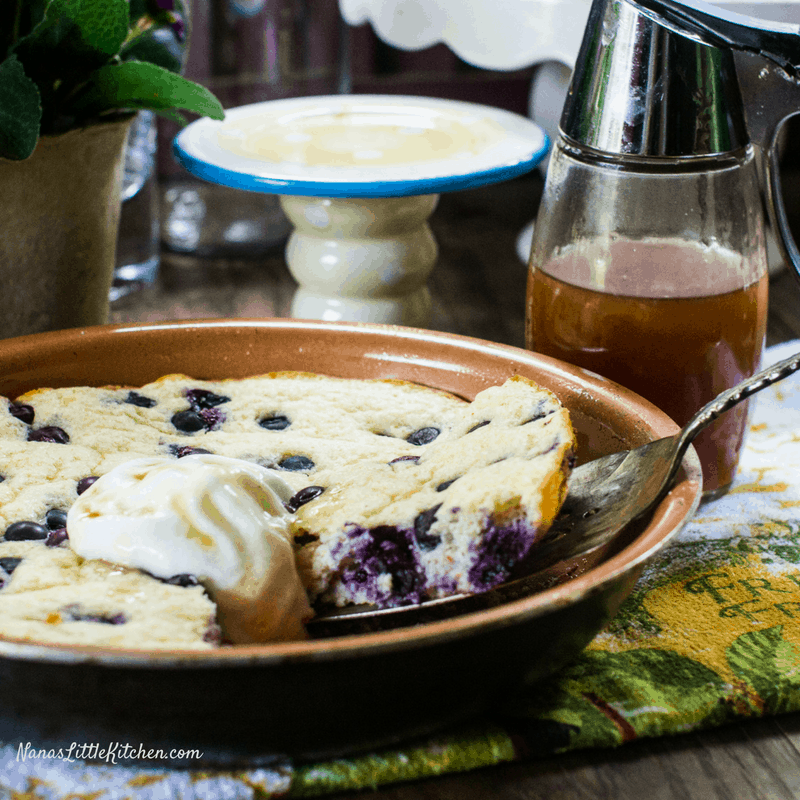 This Blueberry Skillet Bread is another pan bread adaptation, like the pizza crust, but mildly sweet rather than savory. And of course, if you have a low carb bisquick you need to make an “impossible pie” that makes it’s own crust so I used it to re-create one of our families favorite Spinach Bacon Quiche and we love it. 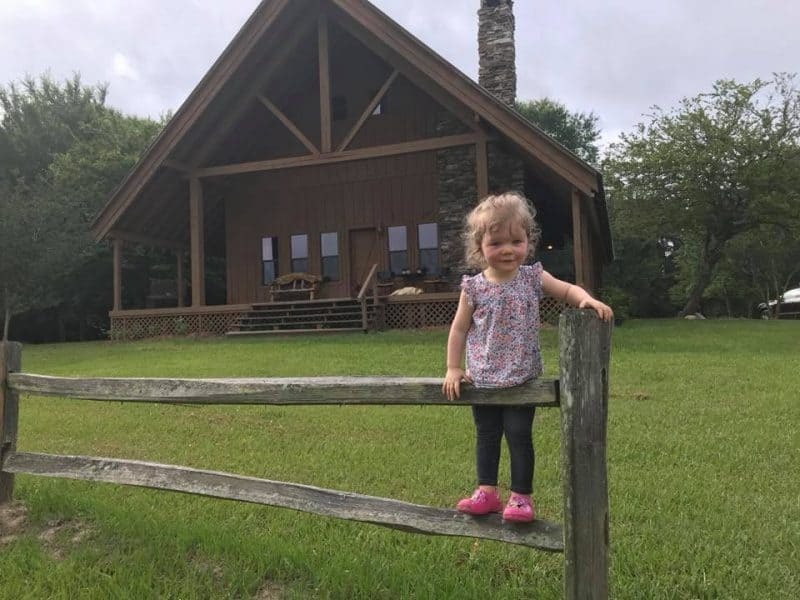 We were so glad to see that our two grandaughters felt right at home over at Mayberry Farms in Huntington Texas. Years ago, the girl’s mom helped her dad and I build it, with a lot of help and encouragement from other family and friends. 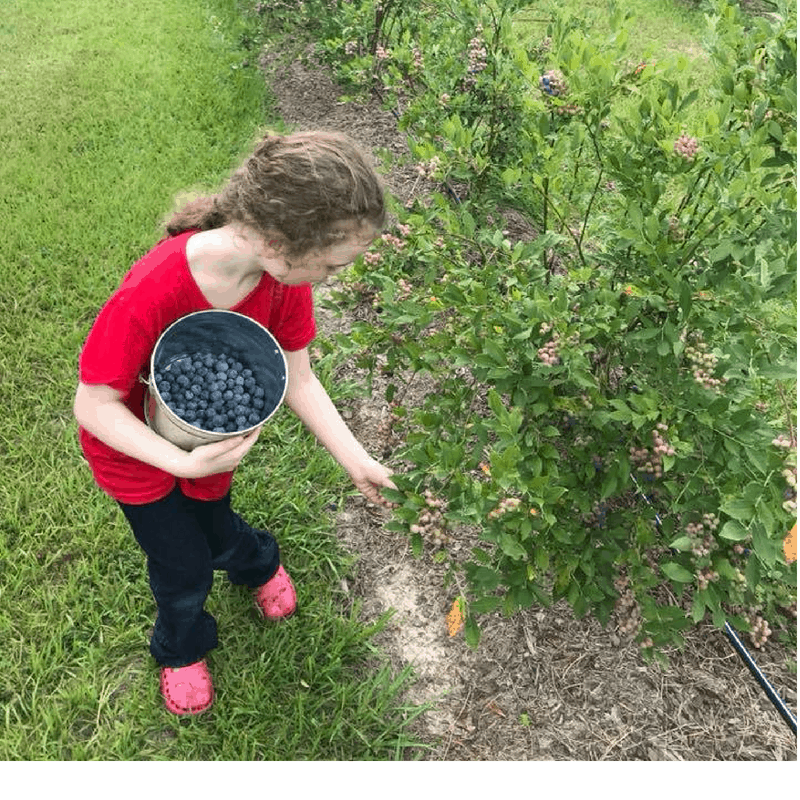 It is now the site of this wonderful blueberry farm and owned by some friendly, kind-hearted folks that welcomed us with open arms to check out the old home place! Please remember! This bread contains flavorless cheeses for texture and although the cooked texture is remarkably similar to a normal pancake type bread, the process to get it there is different. Spray oil a 10″nonstick type skillet*(see notes for pan subs). Set aside. Add the first three ingredients to a food processor or blender. * Process for just a few seconds until mixed well. Pour in the egg whites, almond milk (or other nut milk) and syrup or sweetener (if using). Process briefly* until smooth and pour into the skillet and sprinkle the blueberries over the top of the batter. Bake for 15-20 minutes or until a cake tester comes out clean. Pass the Sugar-Free Maple Syrup! In place of the 1/4 sugar-free maple syrup in the bread, you might sub in an extra 1/4 cup almond milk, 2 T Gentle Sweet (or 1 T Pyure) and 1/2 tsp maple flavoring. Process the dry ingredients well but once the liquids are added process briefly to avoid overmixing the baking powder and wet ingredients. If you don’t have a non-stick skillet you may use an oven-safe stainless skillet but you will need parchment paper under it. I love my cast iron but it’s just too heavy for this skillet bread. 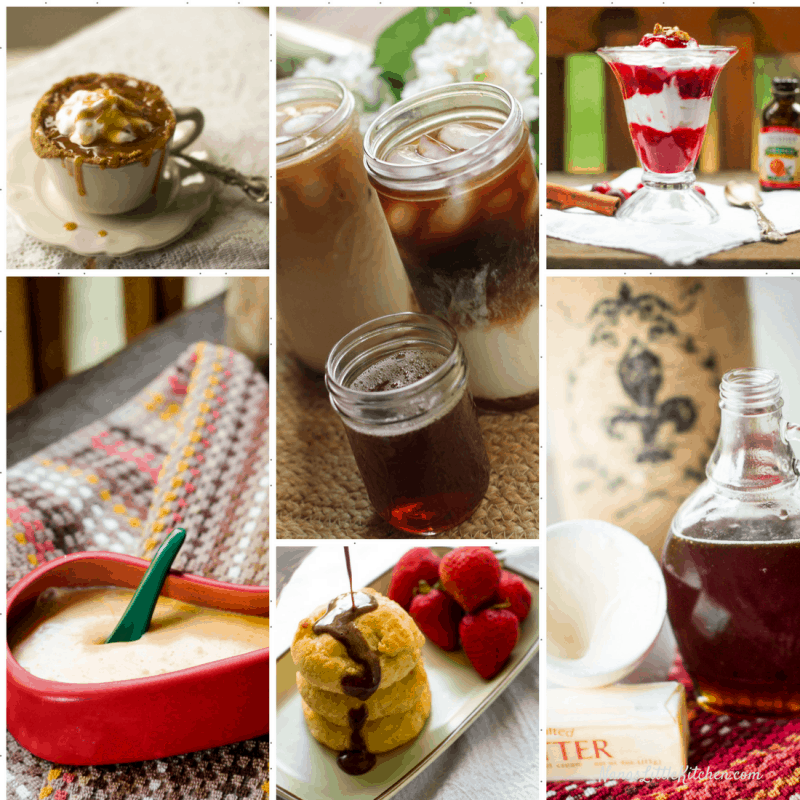 Need some great sugar free syrup recipes? Here’s a roundup of some of my favorites! Nana’s Syrups and Sauces Collection. I made exactly to directions and ingredients. I had to bake double time and the top looked so beautiful and golden brown. When I turned out it was still WET and not eatible. I used Fresh blueberries from our garden even. If I’d used frozen would be more luquified. I made the Bisquick mix as well. I’m so sorry for the problem. I’m getting reports that it is working fine for people, but I’m wondering if you have an electric or gas oven? I have heard of some baked goods taking a lot longer in a gas oven than an electric. If yours is gas I will definitely amend the recipe to note this. 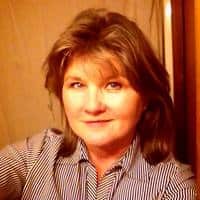 Did you use a 10′ skillet? Did you preheat the oven? Sorry, but I can’t think of anything else. I wasn’t gonna give up. I did use iron skillet and I did read would not crust like a pancake, but I didn’t expect the breading to be still so wet. So I took and put in my Copper Skillet and put back in oven for about 20 more minutes and the breading is perfect now. I just made the biscuits tonight and enjoyed them. I am looking forward to the blueberry skillet bread tomorrow.